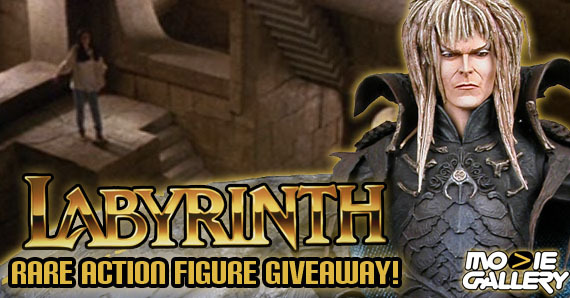 Labyrinth Rare 7″ Action Figure Giveaway! We’re back with another Movie Gallery giveaway contest! We’ve been focusing on the frightening for the past few weeks, as evidenced by last week’s bloody The Devil’s Rejects Box Set Giveaway, and as much as we love spooking our contestants, it’s time for some lighter fare. 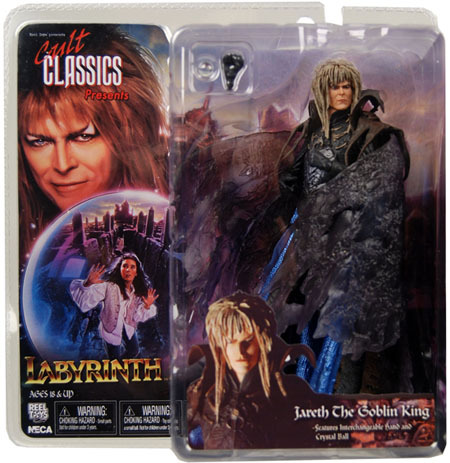 We’re extremely excited to be giving away a rare 7″ action figure of Jareth, Goblin King and the antagonist of one of our favorite films, Jim Henson’s Labyrinth! When young Sarah is forced to babysit her little brother, she inadvertently conjures the Goblin King, who steals the child and brings him to his castle in the middle of a magical labyrinth. Sarah must gather her courage as she races against time to rescue her brother before the clock strikes midnight. Along the way she meets a fantastic collection of friends and enemies who teach her about herself and the world she has taken for granted. 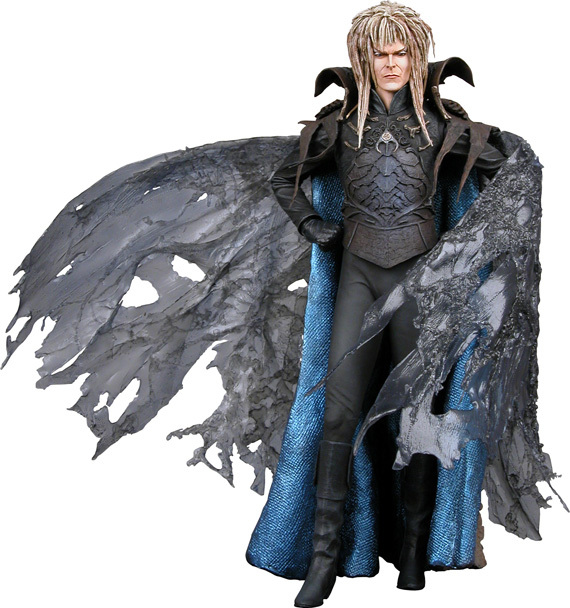 This 7” scale Jareth figure comes from the enduring Jim Henson fantasy film Labyrinth. The handsome Goblin King (played by David Bowie in the movie) rules from his castle beyond the Goblin City. When he grants young Sarah’s careless wish to have her infant stepbrother taken away, Sarah must make her way through the labyrinth to save little Toby — before Jareth turns him into a goblin! Includes interchangeable hand and crystal ball accessory. This entry was posted in Contests & Giveaways and tagged Contests & Giveaways, jim henson, labyrinth by mgadmin. Bookmark the permalink.